I have to say that as far as cuteness goes, my daughter's Oui Oui in Paris diaper has remained a favorite! It has held up beautifully through many washes and is just as pretty and vibrant as it was from day one! With its cute design, it was pretty easy to fall in love with. But that wasn't the only reason that we fell in love with this wonderful company. More important than the cuteness, we loved that this was a company that gave back. For every diaper purchased, they donate the exact diaper to an orphan in need. Not a lesser quality, cheaper diaper...the exact diaper! They feel that all babies, no matter their circumstances, deserve the same great quality! That's pretty wonderful, right? 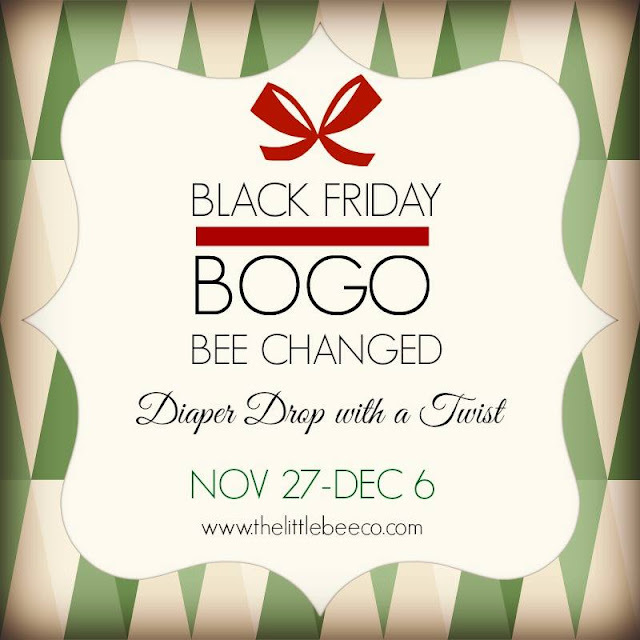 Like I said, it was pretty easy to fall in love with The Little Bee Co.
Today, I'm sharing yet another fantastic reason to love this company- their Diaper Drop with a Twist! From November 27-December 6, for every diaper purchased they will be providing YOU with a second diaper. Their heart is in helping those in need, but they know that we all could use a break, so they're leaving the giving up to you. Perhaps you are trying to build your stash and cannot afford a lot. Keep the diaper for yourself and enjoy, they're happy to help you cloth diaper your little one successfully! But if you don't need the extra diaper, pay it forward and share your story of giving with The Little Bee Co! They are giving their customers a firsthand look at how their giving works and saying thank you for your support in that mission! Amazing, right? This is one event you don't want to miss! 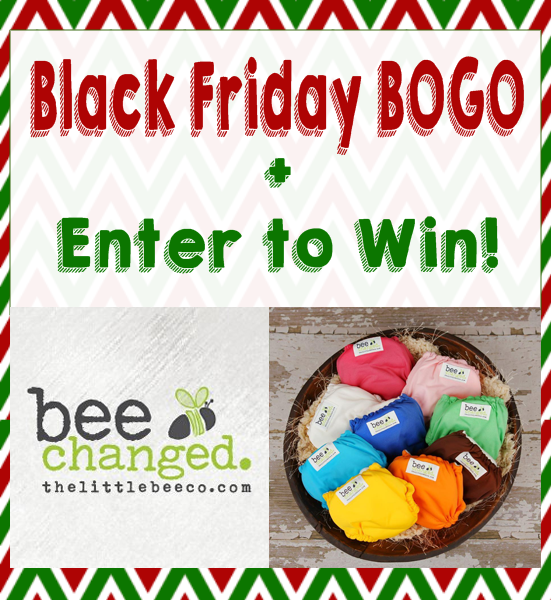 Be sure to shop at The Little Bee Co from November 27-December 6 to participate. This is a wonderful deal, I love seeing companies try and give back, it helps so much I work with the Rebecca Foundation Cloth Diaper Closet. And when I am done cloth diapering planning on donating my stash to them. It is such a wonderful thing with cloth diapers that they can diaper so many babies, from near and far. I'm 12 weeks into my second pregnancy, and really want to try cloth diapering! i'm trying to learn as much as possible right now. I love their giving back program. I would love to continue by either donating my second or another nice diaper in my stash if I won, or if I'm able to purchase! I love that they give back. When I start buying again after the new year I will definitely keep Little Bee in mind. I would love to try one of these diapers. I am always trying new brands and types of cloth diapers. I just love my mixed up stash. Thank you for the giveaway!